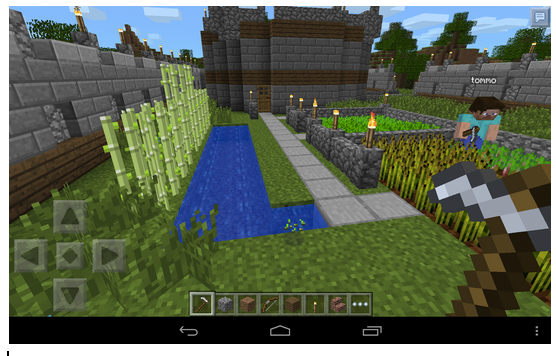 There are many blog posts and articles on how Minecraft can be used as a learning tool in school. While I have attended demonstrations on all the great things Minecraft, I am no expert on how it can be used. We decided to ask some of our grade 5 and 6 students how Minecraft would be of value in the classroom. Here are their answers addressed as letters to our school board. We always need to look for new ways to release the creative potential of our students – obviously, Minecraft is another tool we should be accessing in our classrooms. Their answers show a great deal of insight. I think minecraft is super cool! What I think about Minecraft is something you can think outside the box, being creative or exploring all around that world. It would be so fun if we can use minecraft to learn. We can use Minecraft for measurements, patterns or even on free time! 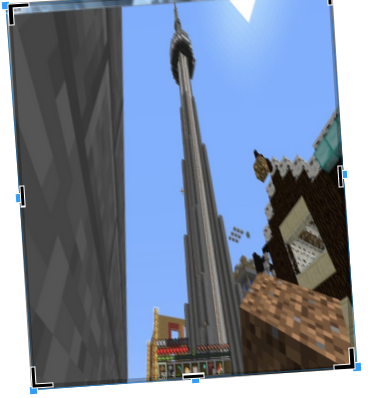 You can also use Minecraft for projects like building a model of the CN tower or a model of the Leaning Tower of Pisa. That’s why we want Minecraft in the at our school. You can use Minecraft for architecture and symmetry. Also, Minecraft is good for being responsible because of the animals. I hope you have read this. I think it would be a good idea to use Minecraft in the classroom so we can show the school board how we want the school to look like. We would also make the new editions we want in the school like slides and swings and other things. It would help you with building because in Minecraft you build a lot of things and it will help with pets because in Minecraft there are lot’s of animals. Hi! This letter is about Minecraft. I have a Minecraft account myself. I have had Minecraft for 7 or 8 months. I have pretty good experience with Minecraft to be honest. Minecraft is a sandbox game and it has endless possibilities to do. Minecraft consists of Pros and Cons. The Pros are that you can show your creativity and you can build projects. (ex: Planets,Houses,Towers etc.) The Cons are that if we have a private server, students might rude language to other students in the chat box. Students might build inappropriate things. I’m just saying that these thing could happen. I am writing this letter to explain why it is a good idea to have Minecraft at school. 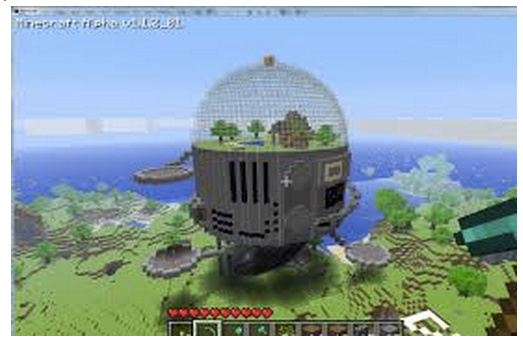 Minecraft is used to be creative and to create structures. If we have Minecraft we can create all the different schools in the school board. We can use it to learn new things and to use our creativity. We can work together as a school community to create many things like farms, houses and other things like that. That’s why I think it’s a good idea to have Minecraft.